Comment: I need an estimate for resurfacing the driveway. I need a proâs opinion whether it makes sense to resurface or completely replace the driveway. Comment: Single family home with, sloped driveway; 10 x 24 carport. Comment: Need a 10x 9ft patio built in the backyard. Comment: I would like a sidewalk installed around the side of the house to the backyard. Off that sidewalk I would like an extension on which I could place my 2 - 3 trash cans instead of just placing them on the grass which at times becomes a bit muddy. Comment: I want a stone area to be taken up and cement put down. Also want a new sidewalk. Comment: 10x25 concrete driveway is crumbling. Would rather resurface than replace due to cost. Falls Church Concrete Contractors are rated 4.61 out of 5 based on 1,367 reviews of 35 pros. 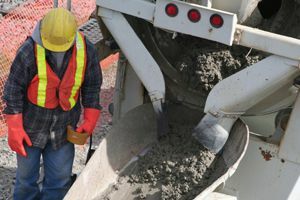 Not Looking for Concrete Contractors in Falls Church, VA?